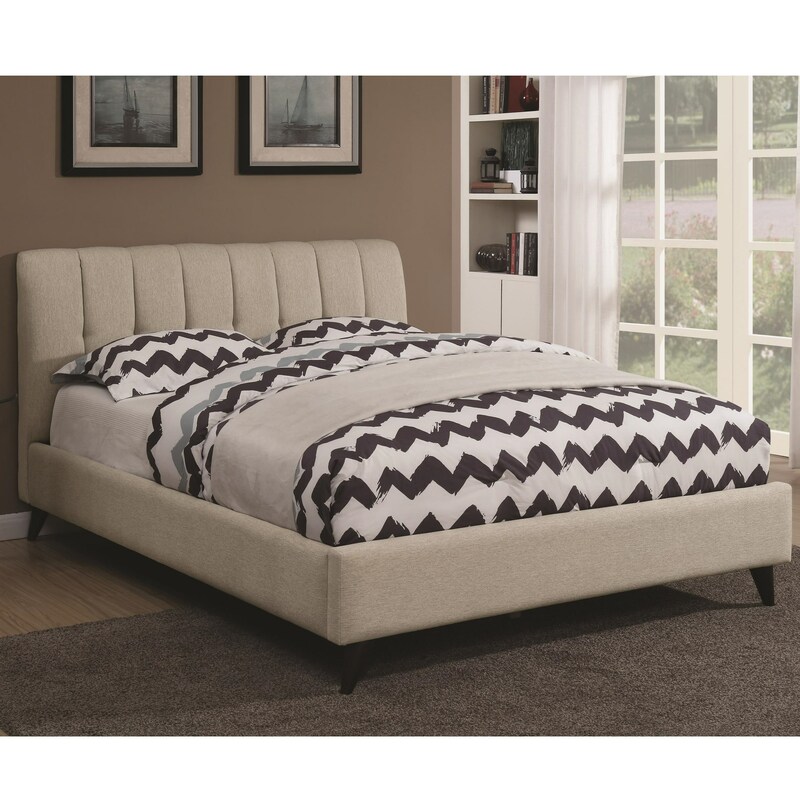 Create a welcoming space of your own with this upholstered bed. 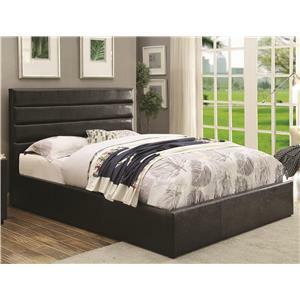 The tufted headboard with vertical channeling beckons for you to enter the comfortable oasis of your making. Lean back against the upholstered headboard covered in a chenille textile, which has the feel of a cozy knit sweater. 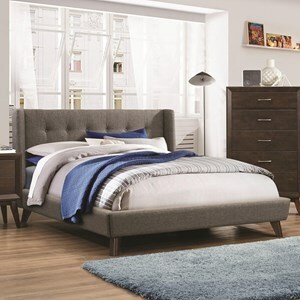 The tapered legs, made of environmentally friendly rubberwood, with dark finish adds an updated mid-century modern feel to the bed. 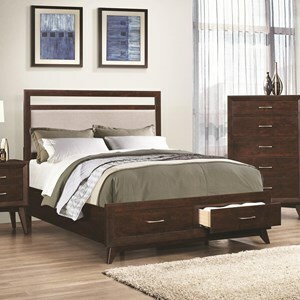 Rest easy, knowing that this bed will be a wonderful addition to your space for years to come. 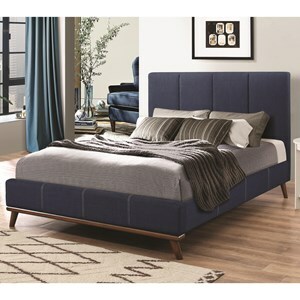 The Portola Mid Century Modern Upholstered Queen Bed by Coaster at Value City Furniture in the New Jersey, NJ, Staten Island, Hoboken area. Product availability may vary. Contact us for the most current availability on this product. 300754QB1 Queen B1 1 0" 0" 0"
300754QB2 Queen B2 1 0" 0" 0"